Brooklyn Nets fans probably just had one of the worst Saturday mornings imaginable. 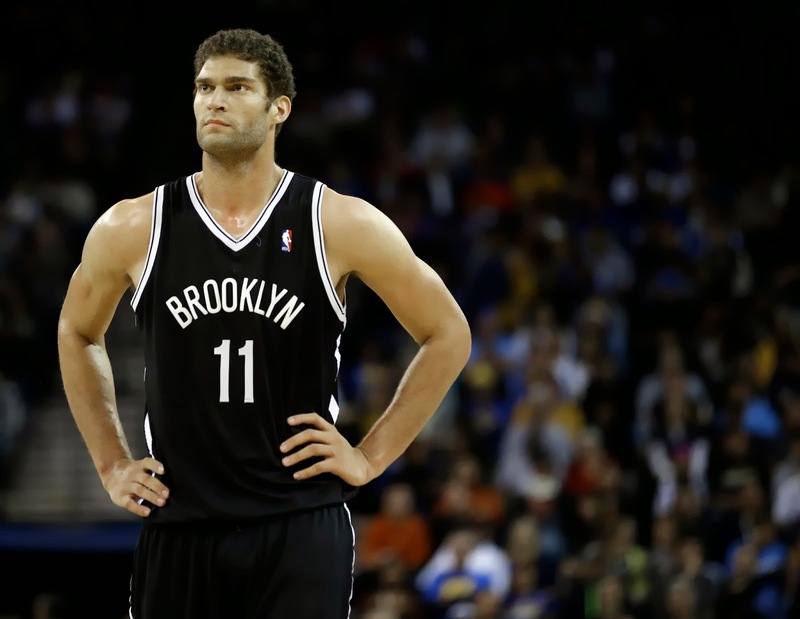 Late last night or this morning for many people (the terms of the injury were announced rather late) it was announced that star center Brook Lopez suffered a broken foot in the Nets OT loss to the 76ers. He broke his repaired foot that he fractured in 2011. Not only was this a very depressing injury for the Brooklyn fan base...but an injury that might end this teams chances at possible playoff success, and possibly the fans faith in the team. 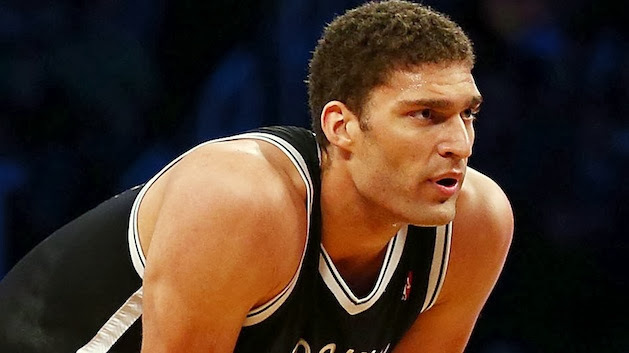 Lopez was declared to be out for the rest of the 2013-2014 season in what looks to be an injury that takes a long period of time to recover from. In what has already been a rough start for "Brooklyn's Finest" so far in the early goings of the season finally takes its biggest hit. Already have big team players like Paul Pierce, Andre Kirilenko, Jason Terry and Deron Williams gone down with injuries but I feel Lopez's will truly hurt the most. It has seemed to be an injury bug striking Brooklyn just as the season got underway. Lopez was arguably the biggest contributing factor to the underachieving franchise so far this season as his number only shed sheer success over people who viewed them. 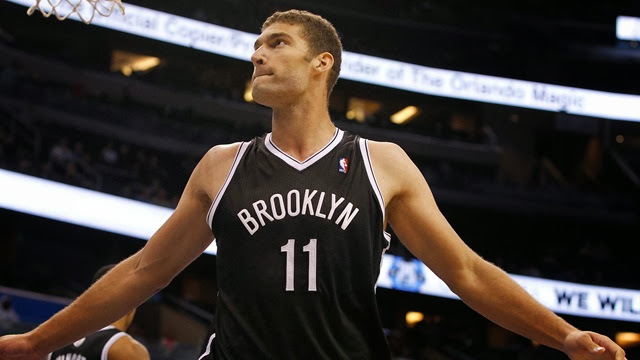 The former Stanford big man was putting up 20.6 points as well as 6 boards a game and leading the way for Brooklyn in a season that already didn't look as if it was going they way most NBA fans planned. Coach Jason Kidd (still cant believe I am saying that) is truly losing one of the only advantages he had over opposing teams. 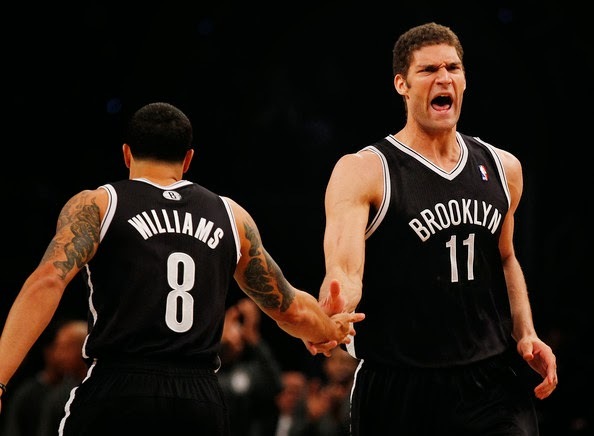 A young high scoring big man in the paint like Lopez gave the Nets one of their only high points of the season so far as he dominated the post on most occasions. As for the rest of the season...things aren't looking bright for one of the projected top teams when it was the preseason.Wait a second what did I just say? You know it , you thought it, you just saw it. Everyone thought the Nets would be at least a top 5 seed in the East (and that includes myself), but what we are seeing now just over 26 games is a team that doesnt even look capable of making a playoff run. Then again this team doesn't look like a squad that can even qualify for the playoffs even in the horrible Eastern Conference! With the injury of in most cases (or peoples thoughts)the best player the Nets have had in this forgettable season so far we must understand something...Brooklyn's chances of any success in the playoffs this year have been crushed. NBA fans need to understand that this was a one year team. All the money, all the fame, all the spotlight they brought in were basically only meant to make this years Nets team a success. What we are seeing is the fall of a Brooklyn empire that never even took off. 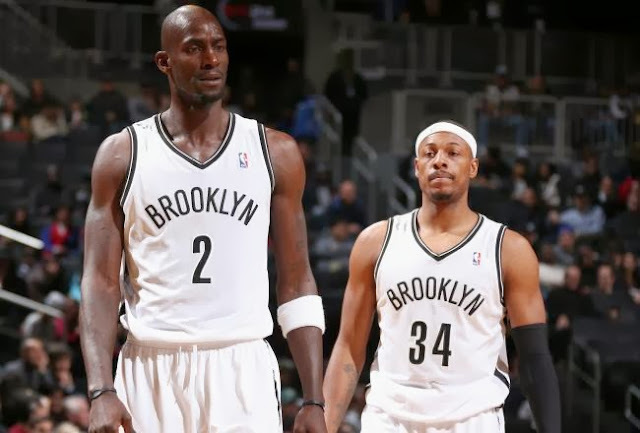 How much time do you think guys like Paul Pierece and Kevin Garnett have left? They came to Brooklyn for one purpose...and that's to win a championship. As I listen to ESPN radio right now as I am writing I came across something that might have blown peoples minds if someone said these words during the preseason. "Pierce and Garnett are clearly struggling finding success in a Nets uniform and with that they should be traded to a contender to win that NBA title". Thats when you know the crushing blow as met the failing Nets franchise. Two guys Brooklyn spent loads of money on could be gone. Two guys Brooklyn thought could make a difference could be gone, and those two guys were expected to help this team return to bring a top NBA team..but all we have seen is the polar opposite. Though it is just a rumor moving the two former Celtics it still is a key glimpse of what the future may hold for the team. It has already been rumored that this team may be blown up by the end of the season. You might not want to accept it but it is indeed a reality. You cant sit there and tell me this team can be a contender any time soon with the roster they are providing. One year....once chance for the Nets. 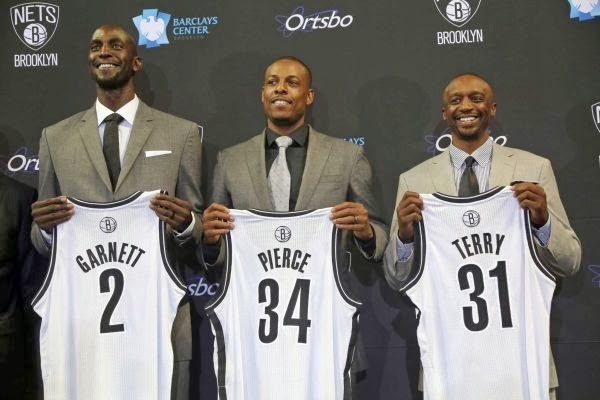 Seeing the words "Hello Brooklyn" and all of the offseason acquisitions on a big billboard is starting to die off on me because we gave this team way to high of expectations. Expectations that wont be lived up too as they struggle to even find the 8th spot in the conference now losing their best player and having a horrendous 9-17 record. With Lopez now sidelined for the rest of the season ans Brooklyn's preseason championship hopes now diminished look to add either Andray Blatche or Kevin Garnett (he may be old and getting progressively old but he can still provide solid points) on your fantasy team as both will see increased minutes in wake of the season ending injury.